All the benefits of Indicate 5 but without the red indicator. 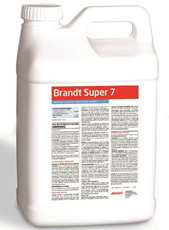 Super 7 provides more uniform coverage by decreasing surface tension of spray solutions, thus aiding in penetration. It may be used as an acidifying agent to lower pH of spray solutions, thus preventing alkaline hydrolysis of pesticides sensitive to high pH. BRANDT SUPER 7 may be used on agricultural, aquatic, forestry, turf and ornamental, industrial, structural and non-cropland sites. Available in gallon only. Highly alkaline water (pH 8 or higher): Use 8-16 ounces per 100 gallons of spray mixture (1/2 to 1 tsp per gallon) . Mildly alkaline/acid water (pH 6.5 to 8): Use 4-8 ounces per 100 gallons of spray mixture (1/4 to 1/2 tsp per gallon). Not available for sale in AR, MS, UT, WV, and WY. CAL FLO Liquid Limestone is a specifically microsized suspension that maximizes the efficiency of limestone for pH adjustment. Coarse, dry liming materials are unevenly spread over treated surfaces and difficult to handle. CAL FLO Liquid Limestone has no dust and provides an even particle distribution with the use of proper dispensing equipment. 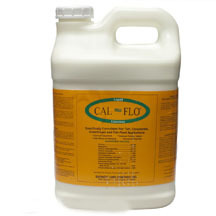 CAL FLO Liquid Limestone offers the finest calcium carbonate particulates available in suspended form. Ultra-fine limestone solids will react more rapidly to achieve the desired pH, when compared to the typical dry bagged limestone. CAL FLO Liquid Limestone can improve soil pH on contact for more nutrient absorption from coinciding fertilizer feed rates. Works great with hose-end sprayers. 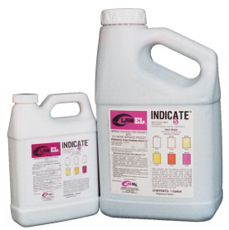 Dilution rate is 30-1 so 4 oz per gallon. 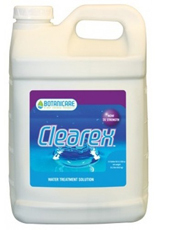 Clearex Salt Leaching solution is one product all plant growers should be using once per year to remove unwanted salt buildup from chemical fertilizers. 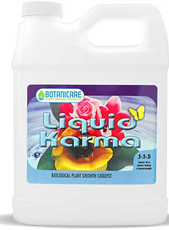 This is a revolutionary product that will totally rejuvenate your flower beds while doing so at a very small cost! We recommend 1 tablespoon in a gallon of water per plant. Same for potted plants of 3 gallon or larger size. 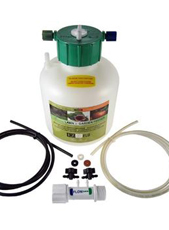 A "must have" for your spray program. We highly recommend the use of this wonderful spreader/sticker. Use less product and have better results! CALL FOR CASE PRICING. Not available for sale in CA, WA, UT, WV, and WY. Suggest Super 7 as alternative. Is a highly-beneficial soil fungus which, once applied to plant roots, lives for the life of that particular plant. When Mykos fungi colonize a “host” plant’s root system, it spreads out thin fungal filaments called “hyphae” from the root surface into the surrounding soil. These hyphae spread out far beyond the reach of the root hairs and access vastly-larger amounts of soil (up to a thousand times more), retrieving otherwise inaccessible stockpiles of nutrients and water. This nutrient “super-mining” effect, is one reason why a partnership between Mykos and plants so highly-beneficial. 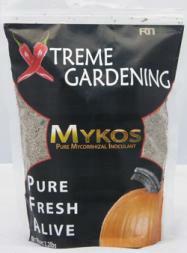 Mykos greatly increases plants’ ability to absorb and compete for precious soil nutrients. Use 2 tsp per plant in one gallon of water. Click image for more details. Nature's NOG was created and refined by a well-known scientist, researcher, educator and horticulturist. After forty years of research and hundreds of lab and field tests, Dr. Senn knows the positive impact certain seaweed extracts and humates can have on plant growth. Nature's NOG Liquid and Nature's NOG Granular are safe and environmentally friendly because the two natural ingredients are non-toxic and non-hazardous. Nature's NOG is a totally organic, natural compound designed to enhance root formation, increase vascular strength, promote green color, and reduce stress on ornamental and agricultural plants. 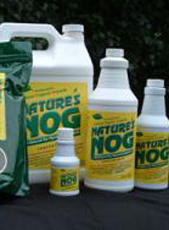 Nature's NOG is environmentally safe and completely non-toxic to humans, animals and fish. Plant Response to Periodic Treatments : roots are deeper and thicker ; vascular system is stronger and hardier; faster germination and upstart; appearance is deeper green and vibrant ; withstands the rigors of stress conditions ; shows increased fertility and fruit quality. 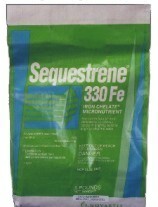 Chelated iron promotes lush, dark green foliage. Great for all types of flowers. Use 1 teaspoon in one gallon of water per bush in the spring and again in early fall for fantastic looking foliage. Now with Kelp! Users routinely report never-before-seen beauty and stress-resistance of indoor and outdoor plants and trees, plus earlier and greater yields of vegetables, flowers and fruits. Widely praised by bonsai trainers, orchid growers and other commercial producers for its unique ability to minimize stress in plants. 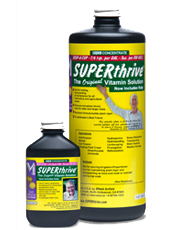 Contains 50 vitamins and hormones necessary for healthful plant growth, including Vitamin B-1. Best known and most widely used plant tonic on the market today, available since 1940.